Christa from Perilously Pale shows us why the products in the new Guerlain La Petite Robe Noire Makeup Collection are so beautiful you may want to put them on permanent display. Phyrra shares her March Beauty Favorites! See what made the cut! Enter to win Lorac Limited Edition Riesling Romance Eyeshadow Palette, a mix of gorgeous neutrals perfect for everyday, evenings or travel from Never Say Die Beauty! 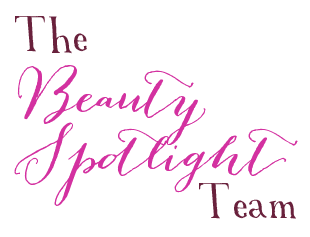 Justina's Gems has some selections from Tarte's spring launches of Rainforest of the Sea and Double Duty Beauty collections. Read on to find out her favorites! Prime Beauty lets you in on her #1 secret for over 40 skin--Primers! Read her Top 10 primers for face, eyes and lips! With Beauty Info Zone's 6th anniversary giveaways in full swing there's many you'll want to enter. One of their favorites is the anti-aging Sonaluse that combines sonic cleansing and red light anti-aging thereapy. You'll want to be a winner. With Earth Day quickly approaching, there is no better time to green-up your beauty routine than now. Lola's Secret Beauty Blog recommends trying Kensington Apothecary Rose Oil Cleanser, Creamy Coconut Cleanser and Skin Serum #2 City Girl because they are clean, green and gorgeous! Get your color correcting and makeup priming done all at once with Blushing Noir choices for Top 10 products! Pammy Blogs Beauty asks "Does Size Really Matter?". Better find out what she's referring to.